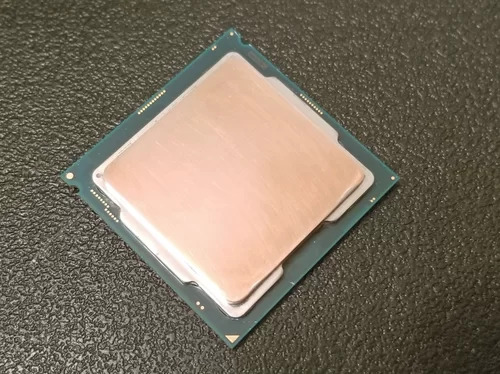 Famed overclocker 'Splave' tried out a small experiment to find out whether the newly announced Intel Core i9-9900KF offered any potential advantages over the 9900K when it came to overclocking. The results showed that the 9900KF can go somewhat higher than a binned 9900K on liquid nitrogen. Although the sample size used in this test is small, it does offer an indication that the disabled iGPU in the 9900KF SKU could be useful in overclocking under extreme cooling. Intel announced new CPUs at CES 2019 and one of them was the Core i9-9900KF, which for all intents and purposes is a Core i9-9900K but with the iGPU disabled. The Core i9-9900KF is on pre-order right now but famed overclocker Allen 'Splave' Golibersuch had the chance to take it for a test drive. Apparently, the Core i9-9900KF seems to overclock better under extreme cooling compared to the Core i9-9900K. Splave had access to 200 9900Ks and 5 9900KFs of which he binned about 23 9900Ks for overclocking under extreme cooling. 19 of these chips could hit 5.3 GHz on water cooling but none could achieve 5.4 GHz. Interestingly, one of the 5 9900KFs could attain the 5.4 GHz mark on water and could even complete 3/4th of the Cinebench R15 at 5.5 GHz on air. While the overall sample size might seem small to conclusively declare the Core i9-9900KF as a winner when it comes to overclocking potential, it does give some indication that the new KF series could prove to be an overclocker's favorite. That being said, disabling the iGPU does not seem to have had any effect on the prices though, and the 9900KF is available for pre-order for US$582.50 — US$52 more than the 9900K itself. Check out the Source link below for binning results and benchmark values, and let us know what you think.